Before the end of the year, we make a trip to Johor beach since we were in Singapore during Christmas day. From Singapore, we took the Senai-Desaru Highway from Cahaya Baru to Desaru which is approximately 27km across Sungai Johor and end at Penawar Interchange. It took us around 2 hours to reach Desaru from Woodlands check points. Bandar Penawar and Desaru located at the same area, just a few kilometre away from each other. You can follow either one to Desaru. During our trip in Desaru, we stayed at Pulai Desaru Beach Resort & Spa. It was one of the best resort there so far with better furnished rooms and facilities. However, if you have kids, Lotus Desaru Beach Resort will be better choice since there is a Water Park for the kids to play. What are the attractions in Desaru and What to eat there? This are the questions when it come to our road trip. 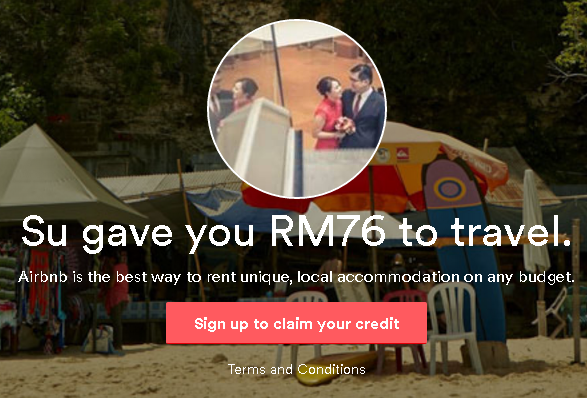 I actually found this place because he wanted to go for a beach holiday this time and the nearest beach I can find is Desaru if travel from Singapore. I read a lot of posts regarding the accommodation and hardly find a full review of the place with food & attractions. So, I'm going to cover as much as possible about the attractions near Desaru beach and of course the FOOD. 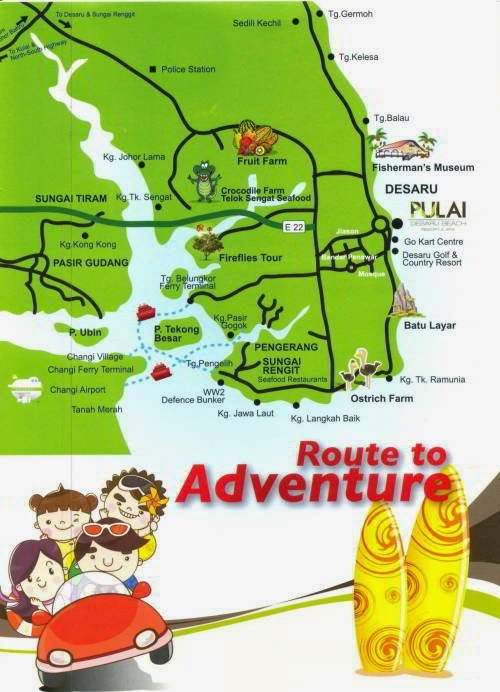 Here is a map from Pulai Desaru Hotel that covers some of the attractions and resorts you can find in Desaru. Basically quite complete I would say. What can you do in Desaru? Recommend to have lunch there, you can try out their Ostrich steak, satay, omelette and many more. Both are at the same area. It is located in Restoran Terapung Bujang. Walk into the restaurant and ask for the cruise. Address: Jalan Johor Silica, Sg. Lebam (3km off the main road Desaru- Kota Tinggi). What to eat in Desaru? I would recommend to drive out to get better food. We tried Teppan on our first day since it is raining heavily, we end up have to pay a big chunk with low quality of Japanese food. The nearest fast food chain that we can find from Desaru. 5 mins drive from Pulai Desaru to Bandar Penawar. You can easily use Waze to get there. It is the same location with the River cruise/Firefly river cruise. We actually had our dinner here before we go for the firefly river cruise. All meal are served in set based on number of people. To our surprise, the food turn out to be quite good although we don't have good impression of the place at first. The portion is quite big too for both of us, quite worth the price. Here is the price list of the set meals, the price still the same although the blog posted in 2011. There is a small stall beside the Ostrich Farm that gave you the chance to try out some local Ostrich delicacy. They served Ostrich satay, Ostrich steak, Ostrich egg omelette, Ostrich bak kut teh and others. 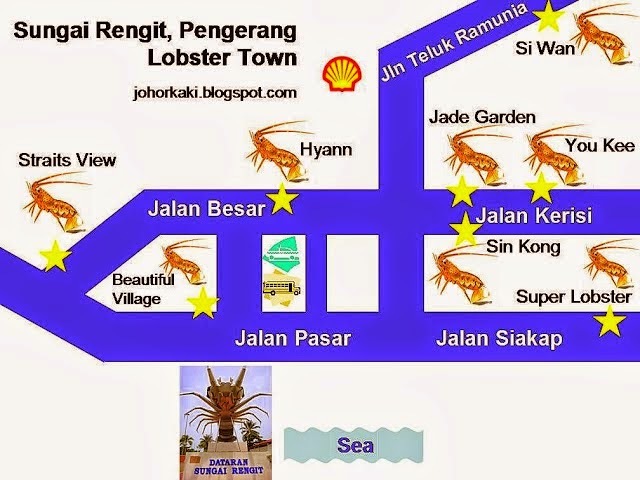 Sungai Rengit is famous for its mini lobsters. There are a few seafood restaurant there like Jade Garden Seafood Corner, Yoou Kee Seafood Restaurant, Sin Kong Seafood Restaurant and others. I didn't manage to make a trip there as it was raining and too dark to drive there after 6pm. I would recommend to go for lunch instead of dinner as it need 25 mins drive from Pulai Desaru to Sungai Rengit. I will update more on my trip in Desaru soon.. Stay tuned!